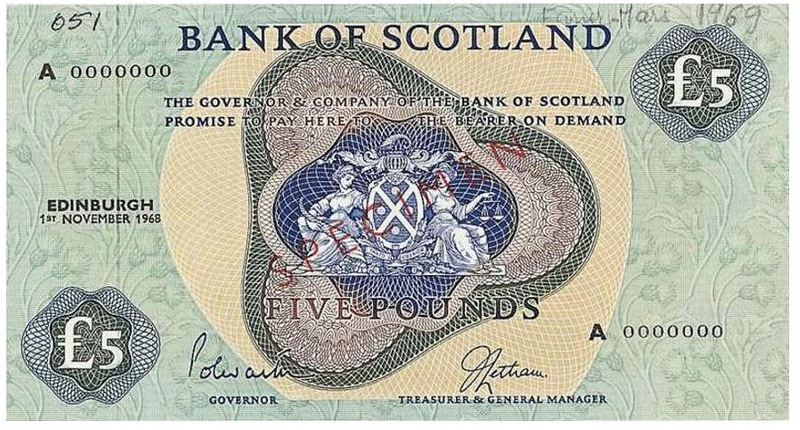 The Clydesdale Bank issued Scottish Pound banknotes in 7 different denominations, including this Clydesdale Bank 10 Pounds banknote. 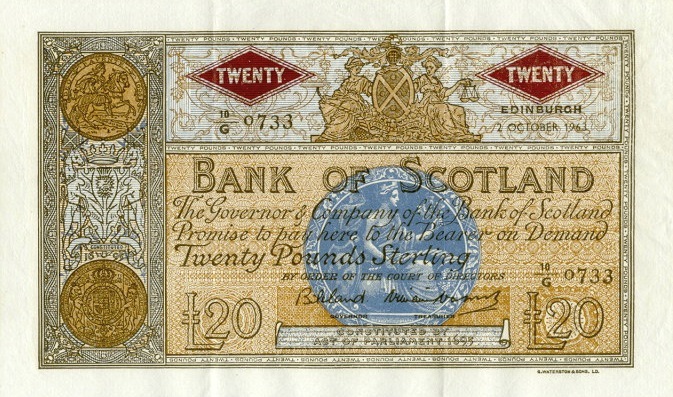 They are part of the withdrawn Clydesdale Bank banknotes series. 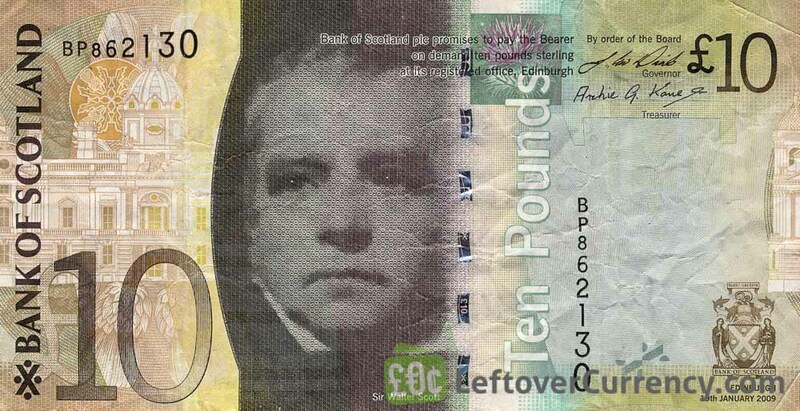 The Clydesdale Bank started issuing these 10 Scottish Pound banknotes in 2009. They were withdrawn from circulation in 2017. 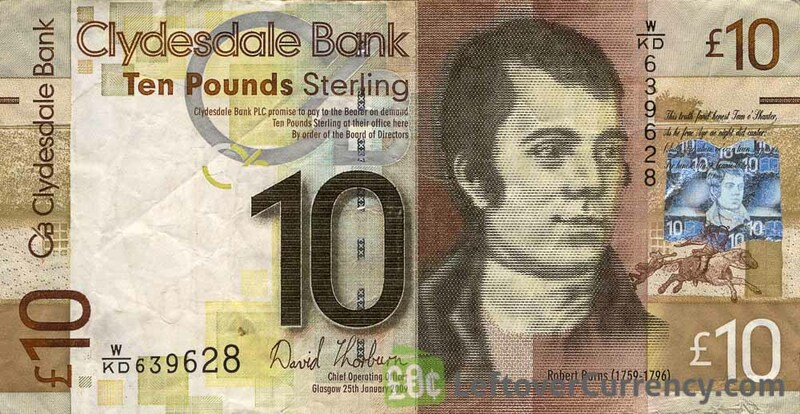 The banknote of ten pounds sterling shows the portrait of Robert Burns, Scottish poet. The paper note contains the words ‘Clydesdale Bank’. This brown-colored £10 note is part of the World Heritage Series. The backside features the Old and New towns of the Scottish capital city Edinburgh. Repeat these steps for any other notes and coins you want to exchange. Complete checkout and get paid within 5 days of receiving your currencies. 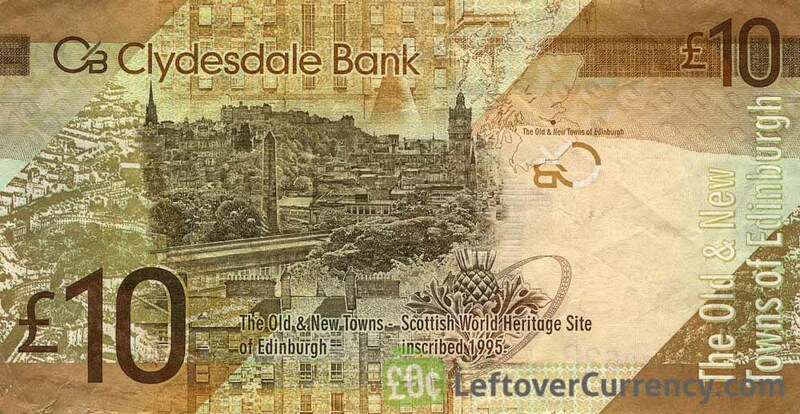 To exchange your Clydesdale Bank 10 Pounds banknote for cash: add it to your wallet now!